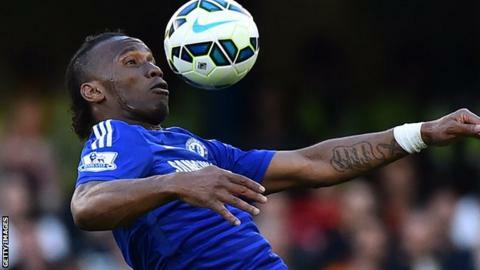 A charity run by Didier Drogba is being investigated over "serious regulatory concerns" by the Charity Commission. The Daily Mail claimed that just £14,115 out of £1.7m donated to the Didier Drogba Foundation had gone to help causes in Africa. Former Chelsea striker Drogba, 38, is threatening legal action and called the Mail's story "false and defamatory". In a statement, the Ivorian said: "There is no fraud, no corruption, no mismanagement and no lies." Drogba, who plays for Canadian Major League Soccer club Montreal Impact, accused the Mail journalists of "jeopardising the lives of many thousands of African children". The Didier Drogba Foundation was launched in the UK in 2009 when the former Ivory Coast captain was playing for Chelsea. The African charity is run in the Ivory Coast but is also registered in the UK. In the article, the Mail claimed that £439,321 was spent putting on lavish fundraising parties attended by celebrities, and more than £1m languished in bank accounts. But Drogba said he had spent his own sponsorship earnings first and planned to use UK fundraising money for future projects. In his statement, he listed the accomplishments of his foundation, including building a mobile clinic, investing in orphanages, and funding the purchase of school bags, books and a dialysis machine. Drogba added: "I come from a poor family and I had to work hard to get where I am today, but this would mean nothing to me if I wasn't able to give back to my country, my continent and my community." The Charity Commission said it had opened a case to assess "concerns about the administration of the charity and the oversight provided by trustees, all of whom appear to live abroad, as well as allegations that the charity has provided misleading information to donors and the public. "Further, the charity has raised and accumulated significant sums of money that have not yet been spent and further information is required over the plans to spend those funds. "All these issues merit further investigation by the Commission", it said, adding it was at the early stages of its inquiry.